Explanation: Along the northwestern reaches of the lunar near side, the Sinus Iridum or Bay of Rainbows appropriately lies at the edge of the Moon's smooth, dark Sea of Rains (Mare Imbrium). 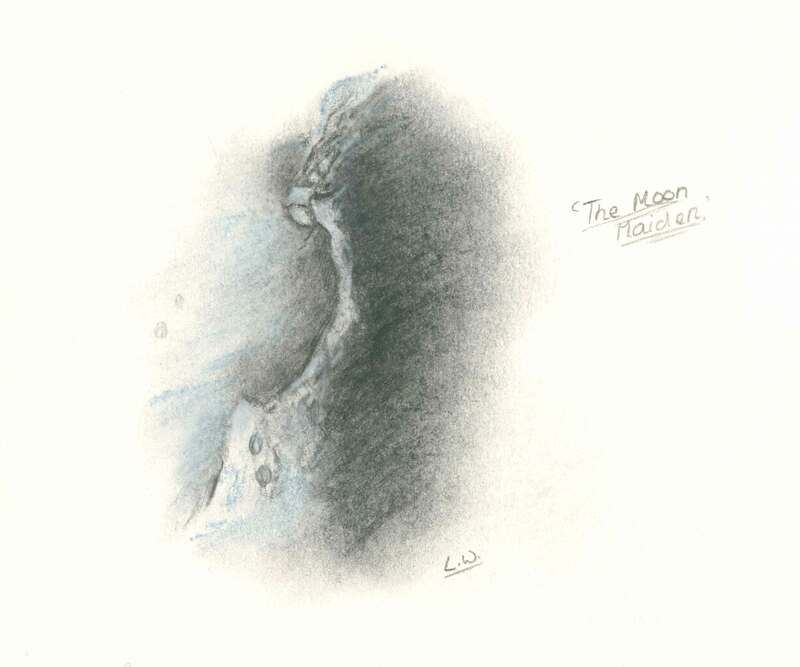 In this sketch of the lunar surface around the Bay of Rainbows, the sun shines from the left, illuminating the arcing wall of the lava-floored bay. The bay's Cape Heraclides, seen here at the top of the sunlit arc, has been historically depicted as a moon maiden whose hair streams behind her as she gazes sunward across the bay. In the original Moon race - the race to map the Moon - this moon maiden first appeared in telescope-based drawings of the lunar surface by astronomer Giovanni Cassini in 1679. 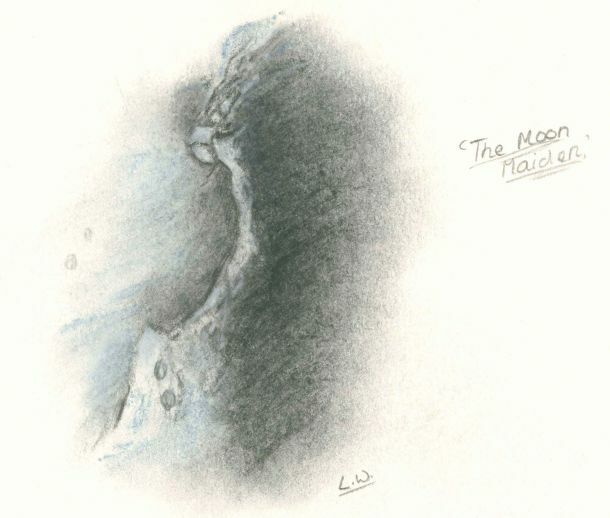 Still gazing across the lunar bay, the moon maiden inspired this drawing by modern day astronomer, Lucy Whitehouse. Done when she was 14, her sketch of the intriguing feature was made from the countryside in northern England, aided by a telescope equipped with a digital imaging eyepiece and a small television screen.